Pathologists will encounter optic nerve tissue when evaluating enucleation specimens and exenteration specimens and when the eyes are removed for postmortem examination. Optic nerve biopsies are not common, but do occasionally occur. A wide variety of pathology can involve the optic nerve within the spectrum of congenital, inflammatory, degenerative, and neoplastic disorders; therefore, familiarity with the subject is necessary. 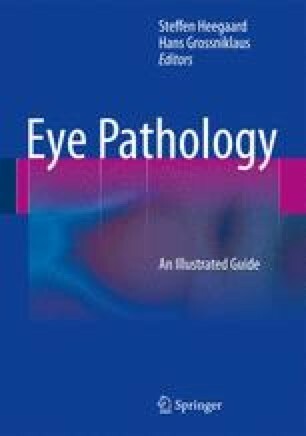 The majority of this chapter is devoted to tumors involving the optic nerve, which are the specimens most likely to be encountered at the surgical pathology bench. This chapter serves as a practical guide to some of the most frequently encountered abnormalities of the optic nerve.